Sir Quentin Saxby Blake, CBE, FCSD, FRSL, RDI (born 16 December 1932) is an English cartoonist, illustrator and children's writer. He may be known best for illustrating books written by Roald Dahl. [a] For his lasting contribution as a children's illustrator he won the biennial, international Hans Christian Andersen Award in 2002, the highest recognition available to creators of children's books. From 1999 to 2001 he was the inaugural British Children's Laureate. He is a patron of the Association of Illustrators. Blake was born in 1932 in Sidcup, Kent, and was evacuated to the West Country during World War II. He attended Holy Trinity Lamorbey Church of England Primary School and Chislehurst and Sidcup Grammar School, where his English teacher, J. H. Walsh, influenced him into literature. His artistic development during his school years was helped by contact with the painter and cartoonist Alfred Jackson, the husband of Blake's Latin teacher, who encouraged his first submissions to Punch, resulting in his first publication at the age of 16. In the sixth form, the school's art teacher, the painter Stanley Simmonds recognized Blake's talents and provided support and exposure to the work of other artists. He read English Literature at Downing College, Cambridge, under F. R. Leavis, from 1953 to 1956, received his postgraduate teaching diploma from the University of London, and later studied part-time at the Chelsea School of Art and later Camberwell College of Art. He has since denied that studying at the University of Cambridge contributed to his artistic or creative talent. He gained a teaching diploma at the Institute of Education. During the 1960s, Blake taught English at the Lycée Français de Londres which cemented his long association with France and culminated in the award of the Legion of Honour. He taught at the Royal College of Art for over twenty years, where he was head of the Illustration department from 1978 to 1986. Blake illustrated The Wonderful Button by Evan Hunter, published by Abelard-Schuman in 1961. Blake gained a reputation as a loyal, reliable and humorous illustrator of more than 300 children's books, including some written by Joan Aiken, Elizabeth Bowen, Sylvia Plath, Roald Dahl, Nils-Olof Franzén, William Steig, and Dr. Seuss. He illustrated the first Seuss book that Seuss did not illustrate himself, Great Day for Up! (1974). By 2006, Blake had illustrated 323 books, of which he had written 35 and Dahl had written 18. [a] To date, Blake has illustrated two of David Walliams' books and has illustrated Folio Society Limited Editions such as Don Quixote, Candide and 50 Fables of La Fontaine. In the 1970s, Blake was an occasional presenter of the BBC children's story-telling programme Jackanory, when he would illustrate the stories on a canvas as he was telling them. In 1993, he designed the five British Christmas issue postage stamps featuring episodes from A Christmas Carol by Charles Dickens. Blake is a member of the Chelsea Arts Club. He is patron of the Blake Society, Downing College's arts and humanities society. He is also a patron of "The Big Draw" which aims to get people drawing throughout the United Kingdom, and of Bibliography The Nightingale Project, a charity that puts art into hospitals. Since 2006 he has produced work for several hospitals and mental health centres in the London area, a children's hospital (hopital Armand Trousseau) in Paris, and a maternity hospital in Angers, France. These projects are detailed in Blake's 2012 book Quentin Blake: Beyond the Page, which describes how, in his seventies, his work has increasingly appeared outside the pages of books, in public places such as hospitals, theatre foyers, galleries and museums. An example of Blake's work, illustrating the cover of Roald Dahl's book George's Marvellous Medicine. Blake is well known for his work with Dahl. In 2007, he designed a huge mural on fabric, suspended over and thus disguising a ramshackle building immediately opposite an entrance to St Pancras railway station. The rendering of an "imaginary welcoming committee" greets passengers arriving on the Eurostar high-speed railway. Blake is the designer of Ben, the logo of the shop chain Ben's Cookies. Blake designed several illustrations for the story time segments for the Scottish TV series Squeak! Quentin Blake is a supporter of and ambassador for the indigenous rights NGO Survival International. In 2009, he said, "For me, Survival is important for two reasons; one is that I think it’s right that we should give help and support to people who are threatened by the rapacious industrial society we have created; and the other that, more generally, it gives an important signal about how we all ought to be looking after the world. Its message is the most fundamental of any charity I'm connected with." Blake is a Trustee of The House of Illustration, a centre in London for exhibitions, educational events and activities related to the art of illustration. He was also the subject of the first exhibition at this venue, entitled Inside Stories", which opened in July 2014. In 2015, he illustrated a book by Beatrix Potter, The Tale of Kitty-in-Boots, which was published in 2016. Blake has never married and has no children. He also illustrated the British edition of Agaton Sax, a Swedish-language series of comedy detective novels by Nils-Olof Franzén (originally illustrated by Åke Lewerth, 1955 to 1978). Blake was the inaugural British Children's Laureate (1999–2001) and he received the biennial Hans Christian Andersen Award from the International Board on Books for Young People for his career contribution to children's literature in 1987. He was appointed Commander of the Order of the British Empire (CBE) in the 2005 New Year Honours for his services to children's literature. In France he was made a Knight of the Ordre des Arts et des Lettres in 2002 and elevated to Officer in 2007. For Mister Magnolia, which he also wrote, Blake won the 1980 Kate Greenaway Medal from the Library Association, recognising the year's best children's book illustration by a British subject. For the 50th anniversary of the Medal (1955–2005), a panel of experts named it one of the top ten winning works, which composed the ballot for a public election of the nation's favourite. 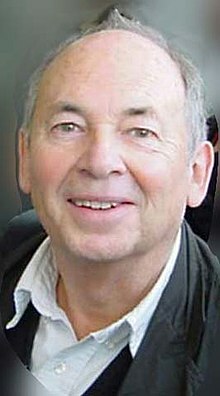 He was also a highly commended Greenaway runner-up[b] for The Wild Washerwomen: A new folk tale, by John Yeoman (1979), and a commended runner-up[b] for Clown (1995), which he wrote himself. He made the Greenaway shortlist[b] for Zagazoo (1998), which he wrote, and for Sad Book (2004) by Michael Rosen. He won the Kurt Maschler Award, or the Emil, for All Join In (Jonathan Cape, 1990), which he wrote and illustrated. The award from Maschler Publications and Booktrust annually recognised one British "work of imagination for children, in which text and illustration are integrated so that each enhances and balances the other." Blake was awarded the Prince Philip Designers Prize in 2011. He received the Eleanor Farjeon Award in November 2012. This annual award administered by Children's Book Circle recognises outstanding commitment and contribution to the world of British children's books. Blake was created a Knight Bachelor in the 2013 New Year Honours for his services to illustration. In March 2014 he was awarded the insignia of a Chevalier de la Légion d'honneur at a ceremony at the Institut Français in London. ^ a b c WorldCat reports the twenty works by Blake that are most widely held by participating libraries. They are seventeen books written by Roald Dahl, Great Day for Up! by Dr. Seuss (rank 5), Michael Rosen's Sad Book (rank 14), and Wizzil by William Steig (rank 18). • "Blake, Quentin". WorldCat. Retrieved 2012-08-30. ^ a b c d Today there are usually eight books on the Greenaway Medal shortlist. According to CCSU, some runners-up through 2002 were Commended (from 1959) or Highly Commended (from 1974). There were 99 commendations of both kinds in 44 years including two for 1979 (Blake highly commended) and two for 1995 (one highly). ^ a b "Quentin Blake" (pp. 108–09, by Eva Glistrup). The Hans Christian Andersen Awards, 1956–2002. IBBY. Gyldendal. 2002. Hosted by Austrian Literature Online (literature.at). Retrieved 2013-07-23. ^ a b "Quentin Blake". Children's Laureate (childrenslaureate.org.uk). Booktrust. Retrieved 2013-09-28. ^ "The Association of Illustrators". Archived from the original on 12 July 2016. ^ Kenyon, Ghislane (2016). Quentin Blake: In the Theatre of the Imagination: An Artist at Work. London: Bloomsbury. p. 68. ISBN 978-1441130075. ^ "Interview:Quentin Blake". The Cambridge Student. ^ "The wonderful button" (first edition). Library of Congress Catalog Record. Retrieved 2012-08-27. ^ Dr. Seuss (1974). Great Day for Up!. Beginner Books. OCLC 902800. ^ a b "Bibliography: A complete searchable bibliography of books illustrated or authored and illustrated by Quentin Blake" Archived 16 January 2012 at the Wayback Machine. Quentin Blake : Books : Bibliography (quentinblake.com). Archived 2012-01-16 (without search function). Retrieved 2013-09-28. ^ "Chelsea Arts Club secretary signs off with 'lunatic' plea". London Evening Standard. January 17, 2013. Retrieved 15 February 2017. ^ The Campaign for Drawing. thebigdraw.org.uk. ^ "The Nightingale Project". The Nightingale Project. Retrieved 2012-07-16. ^ "Quentin Blake – Home". Quentin Blake. 18 October 2011. Retrieved 2012-07-16. ^ Quentin Blake: Beyond the Page, 2012, Tate Publishing. ^ "Cover-up! Quentin Blake drafted in to hide 'unsightly' buildings" Archived 23 October 2007 at the Wayback Machine. Richard Osley. The Independent. 21 October 2007. ^ "2010 Annual Report". Survival International. ^ "Beatrix Potter story Kitty-in-Boots discovered after 100 years". BBC News. BBC. 26 January 2016. Retrieved 26 January 2016. ^ Preston, John (5 November 2012). "Quentin Blake: "I never wanted children. But I do invent them"". The Daily Telegraph. Retrieved 2 May 2016. ^ "Books by Quentin Blake" Archived 24 July 2012 at the Wayback Machine (incomplete; no list). Quentin Blake. ^ a b (Greenaway Winner 1980). Living Archive: Celebrating the Carnegie and Greenaway Winners. CILIP. Retrieved 2012-07-15. ^ a b "Kurt Maschler Awards". Book Awards. bizland.com. Retrieved 2012-07-16. ^ a b "Kate Greenaway Medal" Archived 16 September 2014 at the Wayback Machine. 2007(?). Curriculum Lab. Elihu Burritt Library. Central Connecticut State University (CCSU). Retrieved 2012-06-26. ^ Quentin Blake – website of Gallimard Jeunesse. ^ "70 Years Celebration: Anniversary Top Tens" Archived 27 October 2016 at the Wayback Machine. The CILIP Carnegie & Kate Greenaway Children's Book Awards. CILIP. Retrieved 2012-07-01. ^ "Blake wins Eleanor Farjeon Award". Charlotte Williams. The Bookseller (thebookseller.com). 16 November 2012. Retrieved 2013-01-01. ^ "Quentin Blake knighted in Queen's New Year honours". BBC News. 29 December 2012. Retrieved 30 December 2012. ^ "Sir Quentin Blake awarded Legion d'Honneur – United Agents".